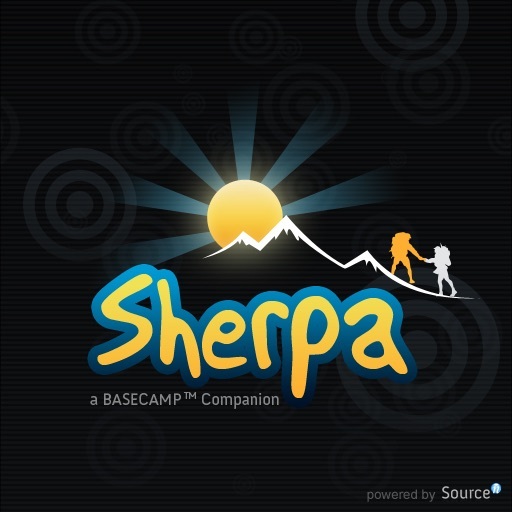 Sherpa - A Basecamp Companion by SourceN Inc.
Sherpa has arrived as the top iPhone application for Basecamp! 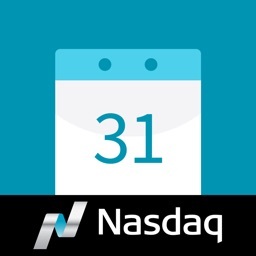 It is the only solution to support multiple Basecamp accounts with quick and easy access to your content through dashboards and other market-leading features. Best of all, it's FREE! 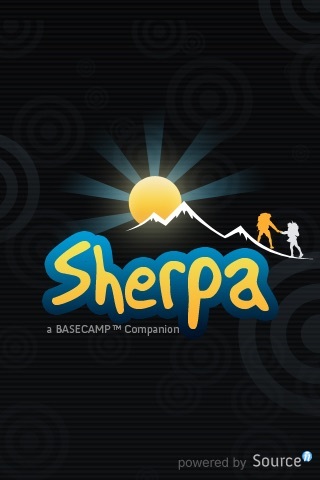 WHAT MAKES SHERPA THE BEST APP FOR BASECAMP? 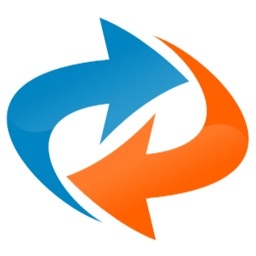 Does every client you work with have a separate Basecamp account? 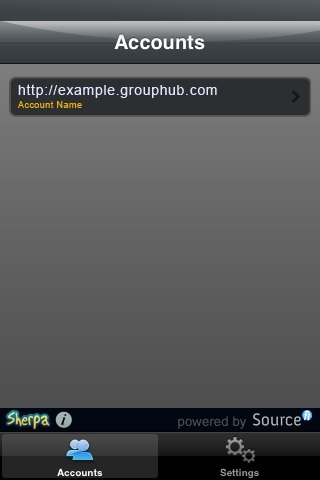 Sherpa makes it easy to access multiple accounts with a single application. 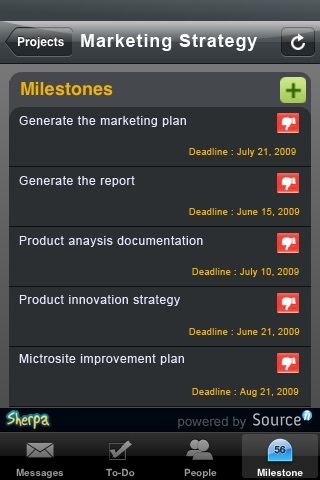 Need a summary of the latest updates to project milestones, to-dos, and messages? No worries. 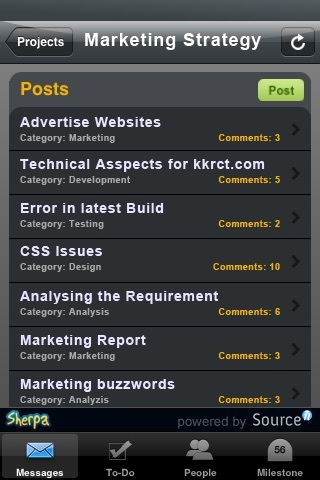 Sherpa rolls this content up in a status dashboard for each project. Need to call or SMS someone about a project? 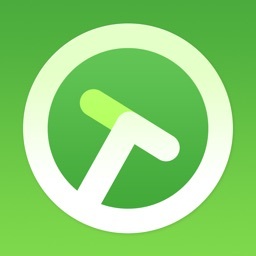 Sherpa will auto-dial your contacts by simply choosing a number listed in their profile. 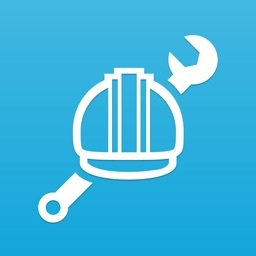 Fast search will instantly find content throughout your project. No more waiting to locate what's important. 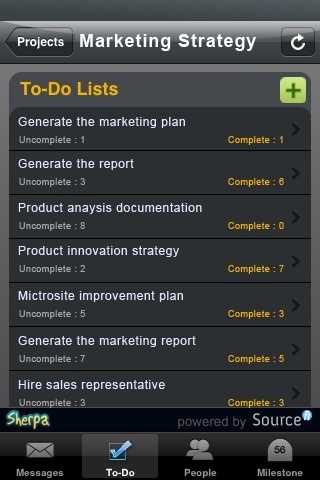 Need help building your iPhone app, on-line community or web application? 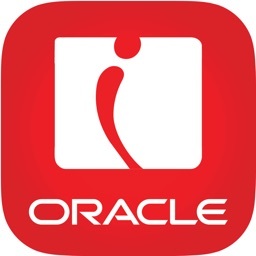 We're SourceN - Builders of On-Line Communities, Mobile & Web Applications. We partner with Agencies and Brands. Our expert services are affordable, flexible and scalable.